Matudnila.com - A Cebu Events Blog: The Seach for PLDT myDSL Watchpad Crew Cebu Auditions starts March 2! Home Vudu Cebu The Seach for PLDT myDSL Watchpad Crew Cebu Auditions starts March 2! The Seach for PLDT myDSL Watchpad Crew Cebu Auditions starts March 2! Be famous for the right reasons and join the ranks of Rhian Ramos, champion drifter Alex Perez, Isabel Oli, Gino de la Peña, Viktor Aliwalas and Steph Henares. Be Cebu's pride for The Search for PLDT myDSL Watchpad Crew! Grab the opportunity to represent Cebu again in another nationwide search. From reality shows to beauty pageants and talent competitions, it may be time for another Cebuano to shine and become famous, this time as the broadband generation’s next icon. Let your journey from anonymous to famous begin by joining The Search for the PLDT myDSL Watchpad Crew. If you are a 16-20 year old student that is currently enrolled for the school year 2010, passionate about making a difference, articulate in English and Filipino, net savvy and shares a passion for music, fashion, fitness, film and technology, then you have what it takes to be a part of the WatchPad Crew. This exhilarating journey begins with the question “Why should we pick you to be a part of the Watchpad crew?” Answer this in a 2-3 minute video, and you might just be one of the ten finalists that will be chosen from all over the Philippines. The WatchPad team will be visiting selected schools and partner establishments in Cebu from March 2-20, 2010 where application forms will be available and audition booths will be set up for submission. Catch them at the Cebu Institute of Technology (CIT) on March 2 & 3 from 10 a.m. – 6 p.m., VUDU at the Crossroads on March 4, 12 & 20 from 4 p.m. – 8 p.m., The University of Cebu (Banilad) on March 6 and Bigfoot Mactan on March 11 from 10 a.m. – 6 p.m. The utmost five finlaists will be the Winners! The ten WatchPad Crew finalists will be unveiled and subject to online voting on April 26. The top five with the most votes will be the newest members joining the ranks of Rhian Ramos, champion drifter Alex Perez, Isabel Oli, Gino de la Peña, Viktor Aliwalas and Steph Henares. The five new WatchPad Crew members will each win a laptop with free one-year myDSL subscription, a chance to be part of WatchPad events, campaigns and ads and P100, 000 in cash. 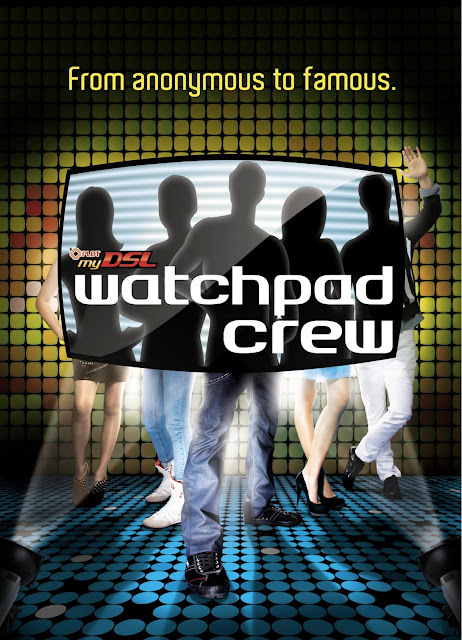 Be famous for all the right reasons and be a part of the coolest crew in town with PLDT myDSL WatchPad. Spread the word to all Cebuanos and grab the chance to possibly represent Cebu. For more details, go to http://www.pldtwatchpad.com/. PLDT myDSL Watchpad, the country’s pioneering internet TV, just keeps on getting bigger and better. PLDT myDSL subscribers can now experience internet TV viewing at its best and the hottest shows from 18 free channels to choose from on their DSL-powered PCs, some of which are not available on local Cebu cable: Channel [V], CNN, National Geographic, E!, PBO, CNBC, Cartoon Network, Animax, History, The Biography Channel, Crime and Investigation, Living Asia, RCTV, Go, Splash, Smart Shopping, TBN-Word and myView. The Seach for PLDT myDSL Watchpad Crew Cebu Auditions! posted on Cebu Events Blog. 0 comments: on "The Seach for PLDT myDSL Watchpad Crew Cebu Auditions starts March 2!"